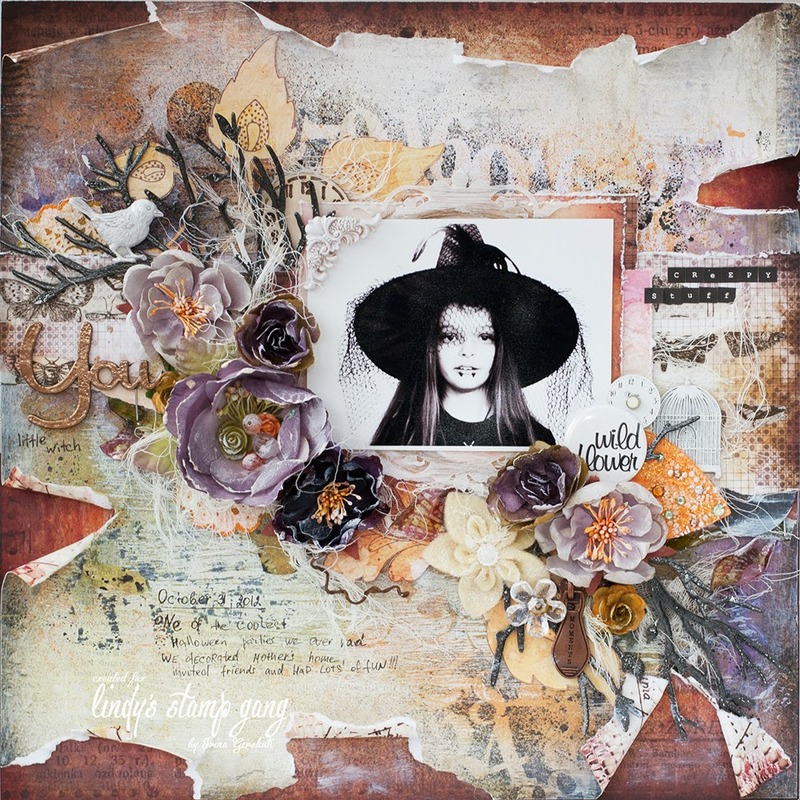 Hi everyone))) It’s Irina Gerschuk with you today and I’m super excited to share with you my new Halloween LO “Little Witch”. It tells a little story about my young sister and October 31 party. Products used: LSG starbursts: Marigold Yellow Orange, Rusty Lantern Lime, Passionate Plum, Tea Pot Purple, Witch’s Potion Purple; LSG flatfabio: Toto’s Tornado Black,; LSG ep: Byzantine Bronze, Midnight Pewter, Razzleberry Plum. 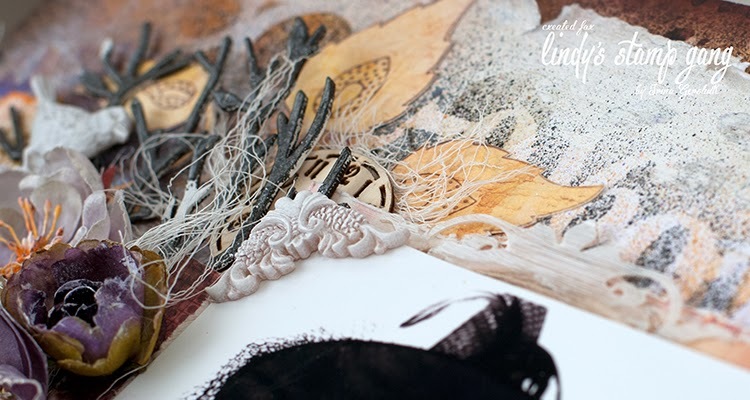 Clear Scraps: mask Circles, mask Numbers, border Vine, Oval Deco Top Frame. 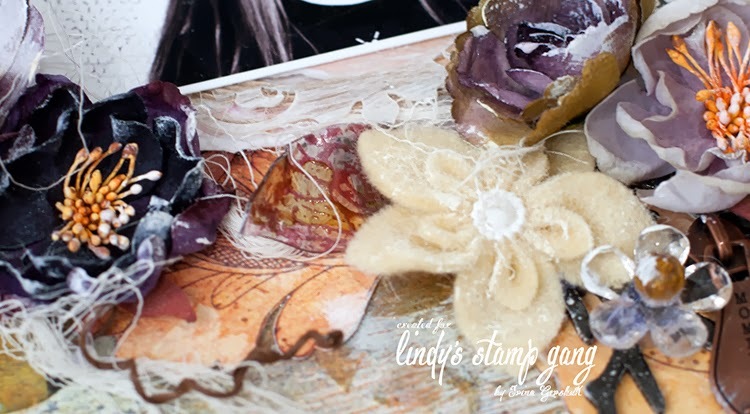 I stamped some texture on the border vine and cover it with the LSG ep “Razzleberry Plum“. Then I heated it with the hit gun. 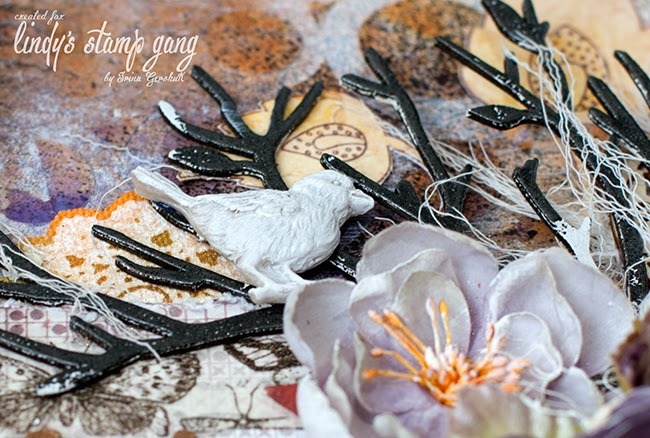 I covered the chipboard branches with the LSG ep “Midnight Pewter“. I used Clear Scraps masks with LSG sprays to make the background looks more detailed. Gorgeous page! Thanks for playing with CS! 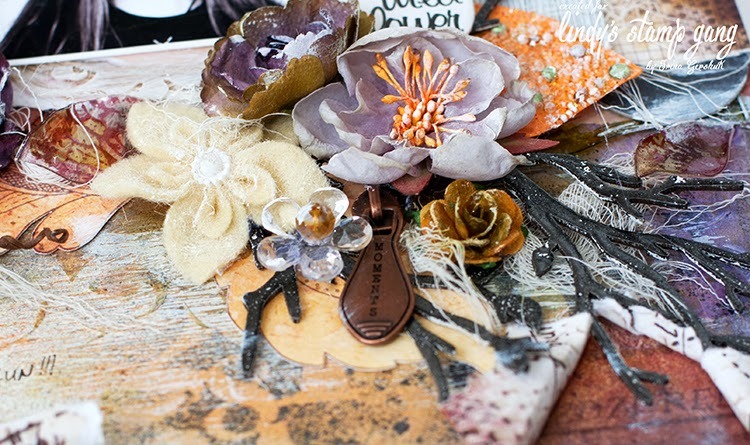 Beautiful use of the products Irina! This is so much more than I could even imagine doing! What a stunning way to mark a fun day.